Until now, I had always assumed that the 608mm wide split link tracks with diagonally cut ends on the links were simply an experiment that evolved into the 650mm tracks fitted to the KV-1S, and that the 608mm tracks never made it into production. However, Alex Gladchenkov has discovered information showing that these 608mm tracks fitted to KV-1S vehicles in service. Alex's photo links are given below. 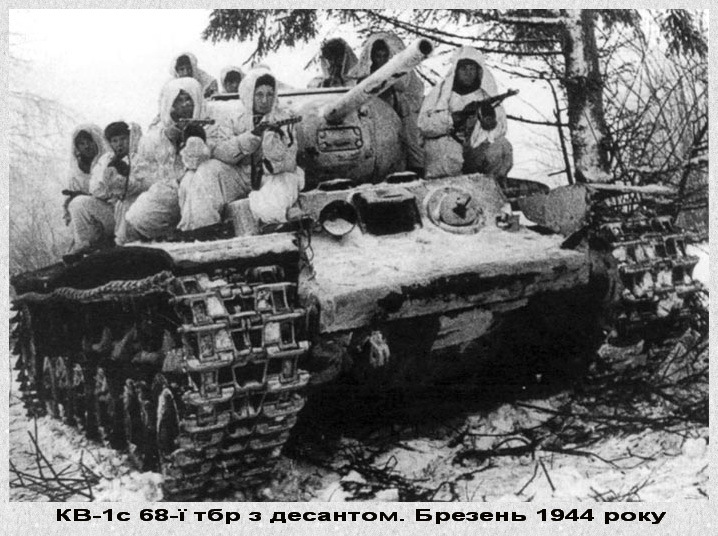 Note that these are all early production examples of the KV-1S, from the fall or winter of 1942/43. They lack external fuel/oil tanks. The road wheels are typically the earlier spoked variants originally fitted to the KV-1S but later abandoned in favor of wheels with smaller round lightening holes. Many thanks to Alex for finding the information and for allowing me to post it here.